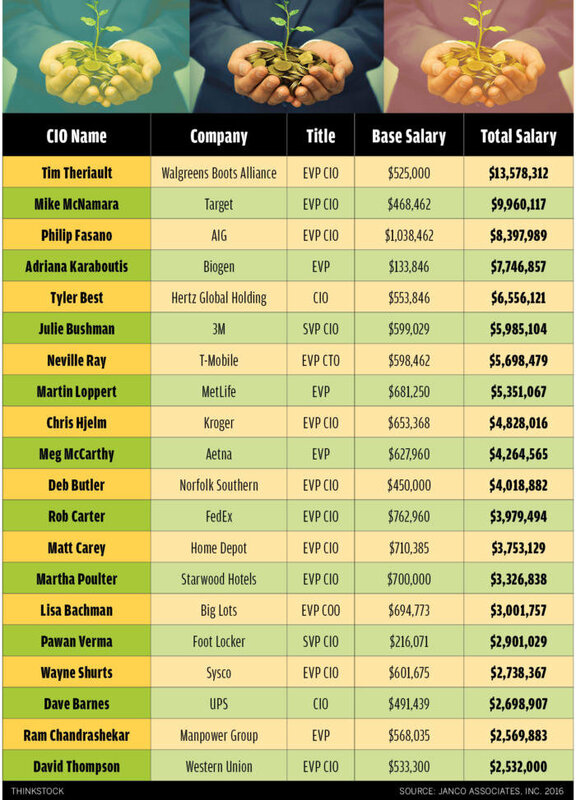 The highest paid CIOs made big bucks this year, but received only modest increases. How did the rest of tech professionals fare in 2016? As we begin to look forward to 2017, it's also time to look back at how the tech industry fared against last year's IT salary benchmarks. 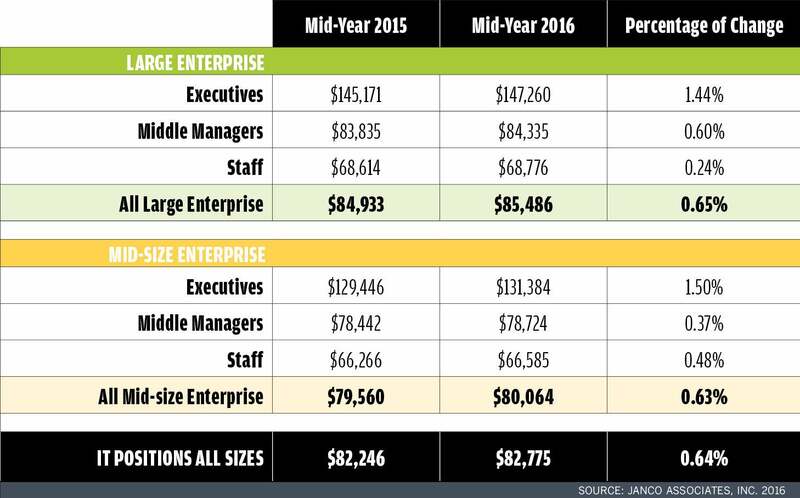 While IT leaders have made some incremental increases, middle managers and IT staff workers haven't been so lucky, according to Janco Associates data. 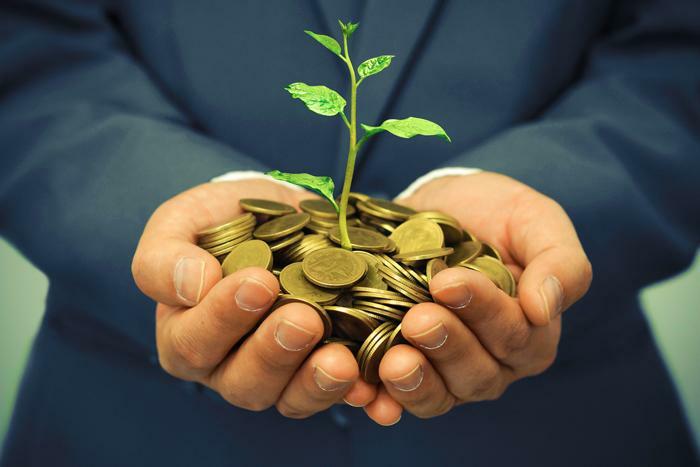 "CIOs and IT executives are doing better in compensation than workers. For the most part, IT salaries remain relatively flat due to the economy, outsourcing and H-1B visa programs. In general, IT salaries have been flat for the last several quarters. They basically have just been equal to the inflation rate. With that said however, the highest paid CIOs saw increases between 3 and 5 percent, " says Victor Janulaitis, CEO of Janco Associates, a management consultancy and analyst group. Each year Janco Associates examines SEC filings, industry surveys and its own proprietary data to see how IT salaries are faring and which CIOs are earning the most money. CIO.com talked to Janulaitis to get his view of the state of the tech job market and, of course, to see who tops the list of highest earning CIOs for 2016. So who is making big money in tech? According to Janulaitis, the high earners are who you would expect them to be: mobile developers, programmers, analysts and managers regularly earn well above industry averages. "There are a number of hot positions that are in demand and those are seeing increases. [Tech pros] who know and can implement in the 'mobile' world are hard to find and command salaries well above the norm," he says. Application vendors and development organizations are seeing salaries move higher, too, Janulaitis says. "This is especially true for individuals with iOS and Android experience. " Security is another area where Janco's data point to a noticeable uptick, but aside from those areas, there hasn't been any real increase in demand for tech workers due to a couple of factors. "Aside from the move to mobile devices and the focus on security/compliance there has been little increase in demand for IT pros as companies continue to more towards outsourcing and maximizing the use of H-1B visas," says Janualitis. Is the election having an effect on salaries and hiring in tech? According to Janulaitis, the answer is yes. "Many companies and CIOs have put things on hold until they see what happens as a result of the upcoming election. If you use Brexit as a model, demand will increase for IT Pros and salaries will begin to move up as it has in the U.K. for small to mid-sized companies," he says. What trends are causing the increase in salaries? The driver that is pushing salaries higher is the demand for new technology, says Janulaitis. "Everyone is waiting for the next new big thing. Add to that, the fact that more IT functionality is moving towards non-IT functions like digital brand managers in sales and marketing organizations. The new players are doing things outside of IT that were traditionally in IT's wheel house."